People may argue about the definition of a good website from the aesthetic point of view. But technically speaking, speed is one of the requirements of a great website. So, if you are a website owner who wants to keep your visitor happy, it’s important to have your site(s) always on the fast lane. 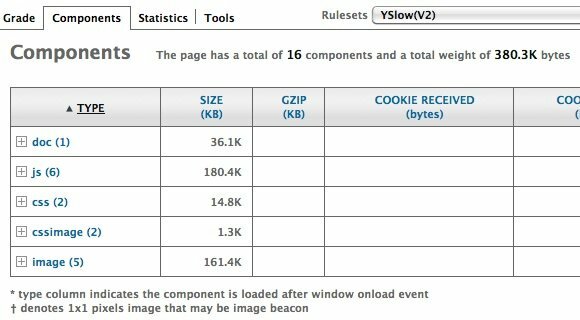 There are many factors that can influence the loading speed of a website. Analyzing and fixing the problems one by one could be a nightmare for non-geeks who happens to have one or two websites. 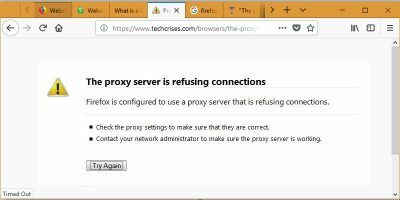 But luckily, there’s YSlow – a Firefox add-on which will help even the most common users of technology to easily track down the hogs on their websites. 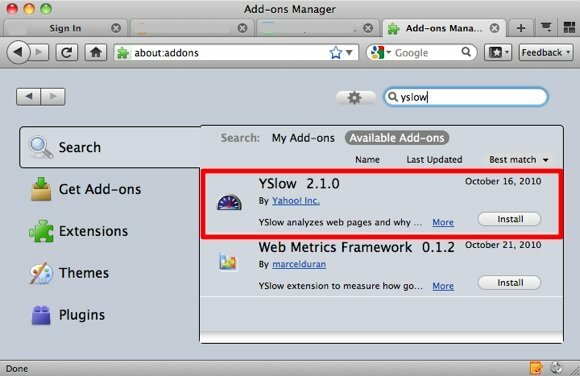 You can install YSlow by using the search function in Firefox’s Add-ons Manager, or you could also get it straight from YSlow page. And after installation, you can see the logo on Firefox’ lower bar. Clicking on it will activate the Add-on. However, please note that you have to install and activate Firebug prior to using YSlow. 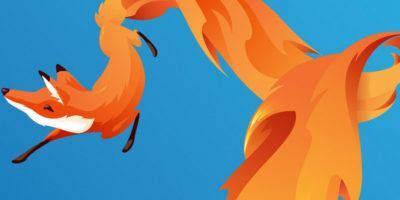 And if you are Firefox 4 beta users, you currently can’t use YSlow because the latest version of Firebug (at the time of writing) is only compatible with Firefox 3.x. 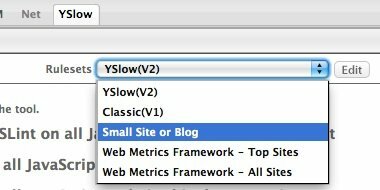 If everything is set, click YSlow button while the website that you want to analyze is in focused. 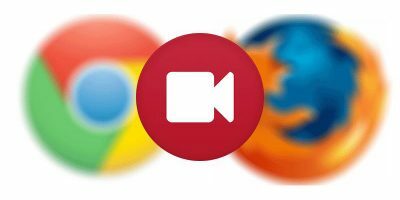 YSlow will open as one of the tabs of Firebug. 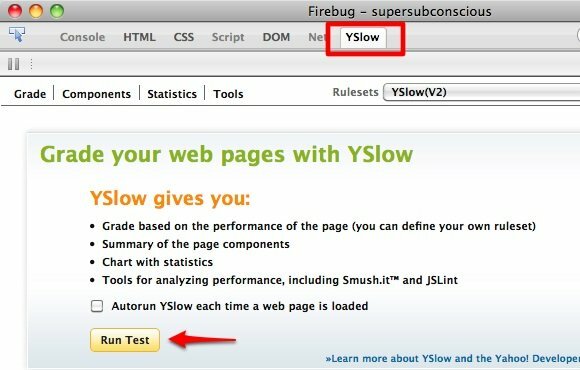 You can choose the option to always run YSlow each time a web page is loaded, but ordinary users who only want to analyze one or two sites should use manual process by clicking the “Run Test” button. 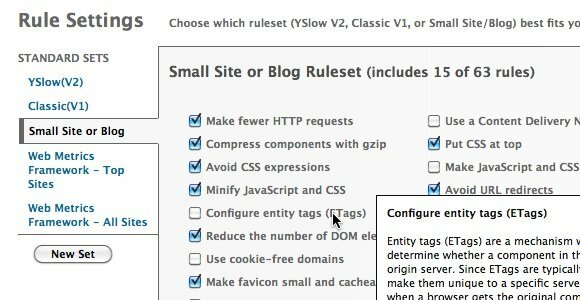 There are several ruleset of test that you can use depending on what kind of website that you have. Most of us amateur blogger might want to use the “Small Site or Blog” ruleset. You can also edit the sets by clicking the “Edit” button next to the ruleset drop down menu. Then you can include/exclude elements of the set. You can get more information about an item by hovering your mouse over it. 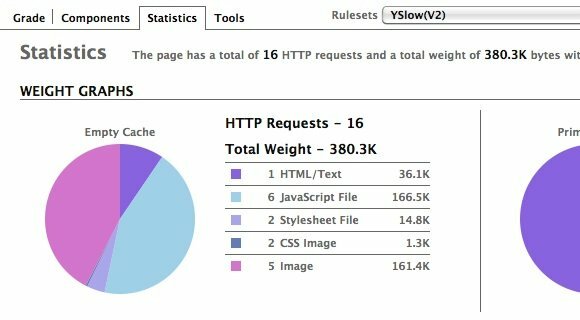 After clicking the “Run Test” button, YSlow will start analyzing your site. A short moment later, it will present you the complete result with overall grades, individual grades and short notes about each items. You can learn more about a particular item by clicking on the “Read More” link. You can also filter the result based on the categories. Next to the “Grade” tab is the “Components” tab. This is the place to see the breakdown list of components that weighing down the page that you analyze. The “Statistics” tab will show you the result in a more graphical manner. You can quickly compare the size of each components just by looking at the graph. After the analyzing comes the fixing phase. 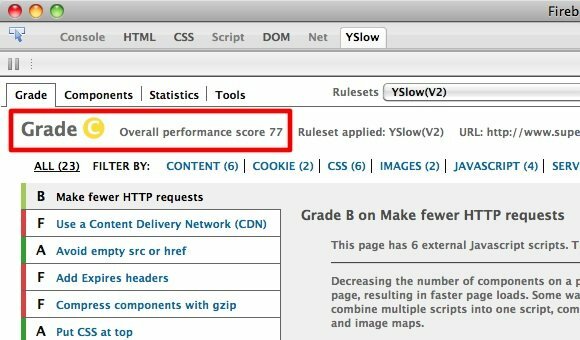 YSlow provides its users with a set of tools to improve your websites’ performance. 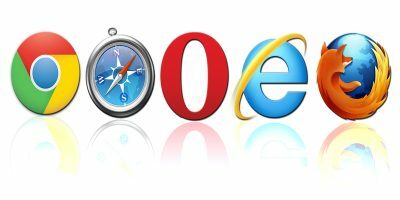 But please remember that YSlow goes only as far as giving you suggestions of the optimized elements of your websites. You still have to manually edit those components yourself – replacing the old ones with the optimized versions suggested by YSlow. For example. you could click on the “All JS Minified” link to get more compact and smaller script. Then login to your web host and use those minified scripts to replace the ones that you use on your site. But the tool that I think would be most useful to most of us is the Smush.it. This tool will optimized the images found on the page that you analyze so that those images will be smaller and more fit for the web. Click the “All Smush.it” link and let Smush.it do the rest. 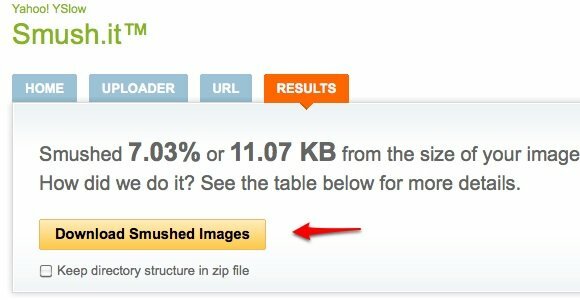 After the process is done, you can download the smushed images and use them to replace the ones that you use on the web page. 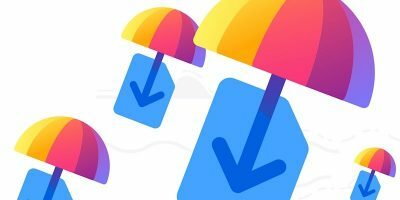 The tool also allows you to upload images from your hard drive and optimize them. This will be very useful to compress the size of images before using them for the web. Be warned though that Smush.it will rename the files and use plus (+) sign to replace spaces. 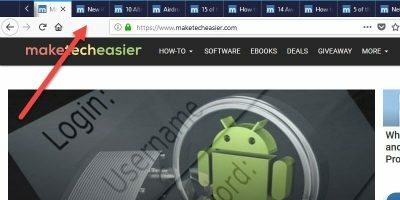 Some sites doesn’t allow you to use non-standard characters for file name and your optimized images might not show up properly. So you might want to rename the optimized images before uploading them to the web. There are many more aspects of YSlow that can’t be fit described here. For more information, you could visit YSlow User Guide. 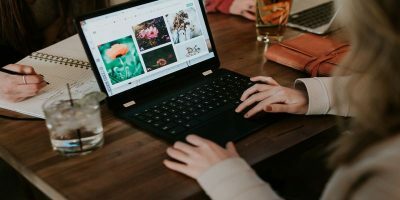 WordPress blogs owners could also try 3 more methods to lighten the load and speed up their blogs. 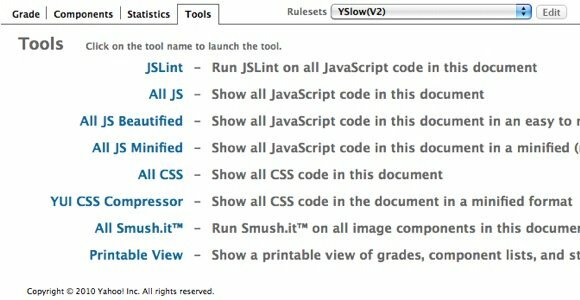 Have you tried YSlow? 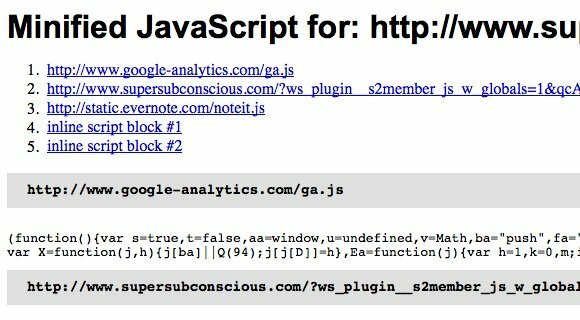 Do you know other tools to analyze and fix the hogs on your websites? Share your thoughts and opinions using the comment below. Actually many things that yslow recommends are nonsense. For example CDN. I see many people think that their sites become faster because they start using CDN, but in fact the real reason is using more than one host like host1.CDNdomain.com, host2.CDNdomain.com, etc.